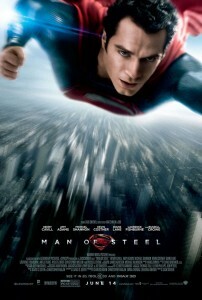 The fourth trailer for DC and Warner Brothers, Man of Steel, not only gives us a better look at the scope of the movie. It also gives us an better look at General Zod (played by Michael Shannon) and his army. This is definitely the “action” trailer compared to the “drama” trailer we saw a month ago. There’s also a quick look at Faora (played by Antje Traue). As the resident comic guy, I’d like to point out just a couple of things. Firstly, the Faora character was the basis for Ursa from Richard Donner’s Superman II. I like the idea that Man of Steel writer David Goyer went back to the original version of the character. I’m something of a Superman continuity nerd, so the fact that they are going back to the original version of her is a lot of fun for me. Also, I like the idea that Zod and Jor-El have a history. It’s always been part of the Superman mythology that Zod and Jor-El were at odds before the destruction of Krypton. One of the best stories told about Zod was Geoff John’s World of New Krypton. Rather then seeing Zod as the insane dictator, Johns gives us a version where we see him as a leader of Krypton that will do whatever he has to so he can protect his people and his world. I’m interested to see which version of Zod we will see. The Man of Steel opens nationwide June 14 and stars Henry Cavill, Amy Adams, Michael Shannon, Lawrence Fishburne, Russell Crowe, Diane Lane, and Kevin Costner.